Last Saturday, hubby and I dropped by a newly opened music store at the promenade near where we live. 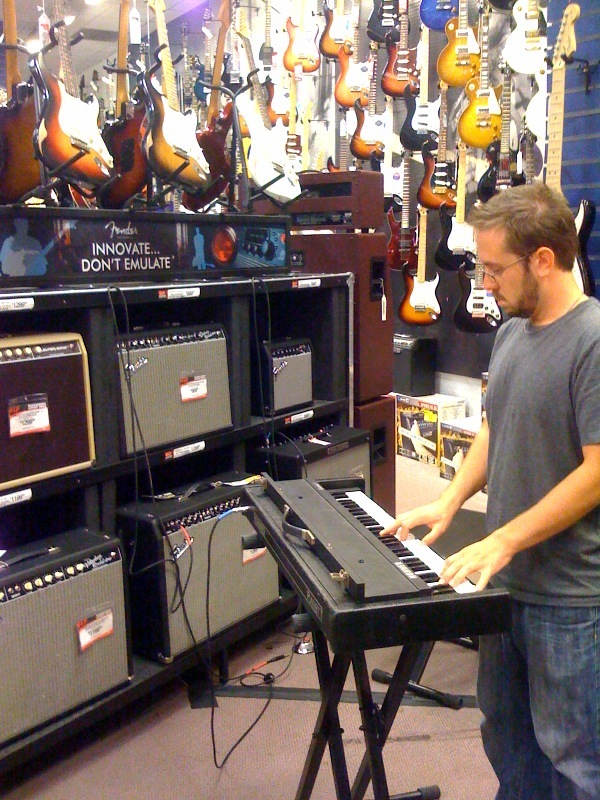 The store carried several brands and models of drums and percussion, guitars, bass, keyboards as well as a wide variety of music accessories. Quite noticeable were the Bass Amp Heads on display, which ranged from the smallest to the biggest I've seen. Most of them were of high quality but competitively priced. My son who is a guitar aficionado would have loved this place. 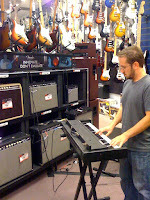 As for my hubby, he's a drummer, so he spent most of the 45 minutes we stayed inside the store at the drum section. For sure, we're making a second trip there next weekend. Baby, it's the guitar man."